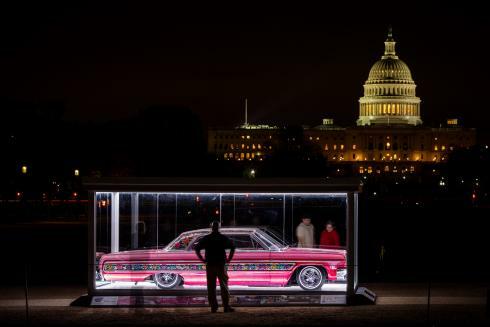 The Historic Vehicle Association (HVA) exhibited on the National Mall. The Exhibit, “An Automotive Heritage Celebration,” featured 10 automobiles, one per decade from the 1890s to the 1980s. Based on the positive response from both the media and the general public, HVA began planning for their third Cars at the Capital exhibition. HVA decided to theme the 3rd Cars the Capital exhibition “It’s History! 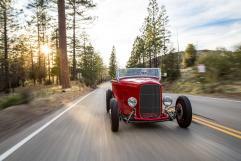 A Hot Rod, Custom Car and Lowrider Receive National Honors in Washington” – Celebrating Three Unique Genres of American Automotive History. The challenge was to communicate the three very distinct genres of cars, which were unique to California car culture, yet broaden the message to reflect the influence these builders and designers had on the future of the automobile. Centigrade carefully reviewed national and regional media outlets which cover more than just automotive subject matter. Using third party media resource tools, Centigrade developed a custom list of potential outlets covering subjects matters of heritage, history, museums, Washington D.C., Smithsonian, etc. Centigrade provided information about the exhibit to local and regional “event” publications to ensure the exhibit was included in various calendars targeting visitors to the National Mall and D.C. Additionally, Centigrade worked with publisher TEN, The Enthusiast Network and their publications, Automobile, Lowrider and Hotrod to extend coverage with those targeted audiences. The opening ceremony and press conference attracted hundreds of guests and enthusiasts. Mark Gessler, HVA President provided opening remarks regarding the significance of these vehicles. ABC, CBS, NBC and Fox covered the exhibit and opening ceremony, Autoweek, Detroit Free Press provided online and print coverage. Overall, the release appeared on over 200 websites, with a potential audience of almost 90,000,000.